Things were going so well. The A to Z Challenge had begun, I was getting videos out on time, and then it happened. Derailment. I caught a cold so strong that I had very little energy. And just as I’d recovered, I started working 10 straight days on something that was physically demanding. Again, energy sapped. But I should be getting things back on track now! First of all, my main channel has had no new videos. I have a couple coming up, though. Already recorded! Moving on to my science channel, there are 3 videos to report to you! First is the letter B. It’s 10 Facts about Bees! Moving on the letter C, it’s 10 Facts about the Canada Goose. And then for the letter D, it’s 10 Fact about DNA. They’re all about biology, surprisingly. I already have the E video ready to edit and upload, which I’ll do tomorrow. What do we have in store for the next week? Videos! 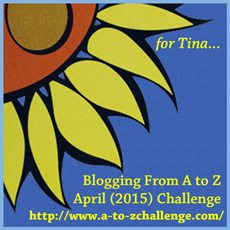 I plan on continuing the A to Z Challenge, even though it’s finishing. I’m not quitting. For my main channel, it looks like I may have a tag video to do, as well as some vlogs. I’ll be working on the regular weekly videos, and maybe more! I should get back to doing Japan videos, too. So, which video did you enjoy the most? For most authors, writing is a long term activity. But how long do authors write? What age do they quit? Or do they quit in their lifetimes? This week, we talk about how long we intend to write. Question 130 – How long do you think you’ll write? Is there a point when you think you’ll stop? I don’t think that I’ll ever really stop writing. I might reach a point in my life when I decide that there’s no point in attempting to publish anymore, but writing in general is just a huge part of who I am. I’ll always scribble out random scenes that pop into my head, or create new stories for other peoples’ characters. It’s not always about the end game of having a completed book; I write for fun, for love, and out of an almost physical need to, and I’m pretty sure that’s how it’s always going to be. Stop entirely? Doesn’t seem very likely. I think I’ll write until I die. Not non-stop. There should be a couple of pee breaks, at least. I don’t foresee a reason to stop writing. There may come a time when I write only for myself rather than books I try to sell, but I tend to write the stories I like to read already so that wouldn’t be much of a change. I’ve always been drawn to writing. Even as a little kid I loved writing stories. I was always either writing stories or in a journal (not a diary!) or letters to friends to pass in the school halls. I don’t see an end to my writing any time in the near or distant future. Now I write a blog and I’m seriously enjoying it. What a strange question. I suppose I’ll stop when I’m dead. Why would I ever stop writing? I’m not doing it for the money. I’m writing because I’m a storyteller. Now I’ve been doing it for a decade, I can’t see myself ever stopping. However, lately life has become more hectic, complicated and stressful and I’ve lost my mojo a bit. I fully expect it to return, but in the meantime I am forcing bum on seat and even a paragraph a day is progress the way I see it. The only way I could see me stopping would be to let the routine slip, let life totally take control and not make the time for it. In saying that, I have ideas for eight more novels, half of which are already written in various stages of progress. Can’t see me giving those up, tbh. I plan to write until I die. And if we have reached a technological state by then that one can upload consciousness into the internet, or preserve the mind in some other manner, I’d like to continue writing after death too. I don’t think I’ll ever permanently stop writing. I think there will be times when life is just too crazy to write seriously, but I think I will always pick it up again. (Just like I sometimes go a few months without reading a book, but then I’ll marathon a series in a week.) Being a writer is a part of who I am, now. I think I’ll be the 95-year-old woman in a nursing home who won’t stop jotting down bad poetry on old napkins. I don’t see myself stopping at any point in the future. Realistically, I’ll stop writing when I run out of viable story ideas, but I doubt that will happen or I’d even recognize my newer ideas as nonsense. So, I think I’ll be writing something or other for a good long while. I’ll stop writing sometime after they close the lid. Stop? What’s that? I have far too many stories in my brain to stop writing. I want them out on paper (real and digital) for people to read. The process of writing takes a long time, and I think it’ll take my entire life to get those stories out. If you’re an author, how long do you think you’ll be writing? Let us know in the comments section below. People usually read multiple genres, authors included. Authors usually write only one or two genres, though. But can they hone their writing skills in one genre by reading other genres? Note: This is the first time Authors Answer has been late in 129 posts. I wrote a post about this. A lot of things were going on. #130 should be on time. Question 129 – Do you think reading different genres can help you with writing in your chosen genre(s)? Of course. I write science fiction. But I taught myself how to write action sequences by reading Louis L’Amour’s westerns. I taught myself tension from Robert Ludlum and Tom Clancy. I learned revelation from Andre Norton, JRR Tolkein, and Robert Heinlein. The wider your experience, the more tools you get for your tool box. I think it’s possible. Other genres can introduce you to new tropes and concepts that aren’t necessarily common in your chosen genre. I took some cues from thrillers when writing my science fiction novel Jasper, for example. There’s also something to be said for reading outside of your comfort zone. Who knows? Maybe you’ll pick up some a new genre-blending story idea. I certainly don’t think reading other genres can hurt your writing. It’s good to have a broad mind and an awareness of tropes and techniques throughout fiction (and/or nonfiction). And there are plenty of novels that class in more than one genre, or subgenres that pull from several parents, so why restrict yourself? Well, storytelling is storytelling, no matter the genre, so I expect all reading will teach you something. I can’t read other people’s books when I’m writing my own as I become too distracted by the novel that’s been completed, edited, published and practically perfect compared to my lump of mess. I find I’m thinking about their characters instead of my own and I don’t want to unintentionally apply their story to mine, so I avoid reading novels when I’m working on one. Certainly. I think a good writer reads just about everything well-written they can get their hands on. I read fantasy, science fiction, horror, thrillers, mysteries, and lots of non-fiction. Many authors have great skills at writing, even if it isn’t in your chosen genre. Anyone can learn a lot from the good writers. Most definitely. I think the biggest difference between genres is the setting. Otherwise, the main story elements are closely related. There is still conflict and rising action and climax and a solution across all genres. Therefore, reading any genre will provide an opportunity to brainstorm new conflicts or perhaps an old conflict with a new solution. Yes, definitely. Reading other genres helps us pick up ideas and techniques different from our standard genre tools. There are always other angles that can be incorporated into a story to spice it up or help it appeal to a wider audience. I think reading in different genres is a great way to build your narrative vocabulary. Genre is a pretty fluid concept as is, but obviously having great skill writing a mystery could prove beneficial if you’re writing a sci fi epic with a mystery at its heart. Conversely, having a good handle on writing science can help add authenticity to a mystery set in a research laboratory. Good writing and good technique is always worth reading. Probably. Especially in areas where there’s any overlap. Absolutely, yes. It might not seem like it if you’re, for instance, reading romance when you’re writing horror, but every genre has something different to teach you. You never know what kind of literary tricks you might pick up by broadening your horizons and taking a look at what else is out there. Definitely. I write mainly science fiction, though I want to write fantasy. I don’t just read those two genres, though. I also read some classics, especially Shakespeare. And I enjoy a lot of science and history. Non-fiction has helped me a lot with my sci-fi writing. I use a lot of science, and my interest in history and cultures helps me with the development of cultures and change of cultures. In my case, the different genres help me with factual information. I think that reading things like historical fiction or war novels can help with writing combat or fighting. Reading fantasy could help with writing different cultures and worldbuilding. There are so many things you can learn by reading other genres. If you’re an author, do you benefit from reading other genres? Let us know in the comments section below. Books are not written by ghosts, but there are people who ghostwrite. They don’t write under their own name, but under someone else’s. Some people have their reasons to be ghostwriters, while others would prefer to write their own books. But how about us? Question 128 – Have you ever tried or thought about ghostwriting? For the longest time I didn’t even know what ghostwriting was. When I eventually found out I thought the idea sounded very interesting, and I did, in fact, consider it for a while and did some searches around the internet for how one would go about getting into it. In the end, though, I don’t think I really settled into the concept of it. I prefer to write my own ideas, my own stories. I’m not necessarily saying that I’d never do it, but I don’t think it’ll ever be something that I actively seek to do. I’ve never really thought about it. I wouldn’t necessarily be opposed to it. I have thought about ghostwriting, but unless the money was RIDICULOUS I don’t think it’s worth it. Words and stories are all that I have to offer the world, and attaching them to another person’s name would be very hard. If that allowed me to pursue my own writing full time, then maybe it would be worth it. Otherwise, I want the blood, sweat and vowels I commit to the page credited to me, for better or worse. I have not tried or thought about ghostwriting. I have so many ideas of my own that I haven’t had the time to consider other avenues. I have both thought about it and done it. I joined an online writing website where clients seek writers for various purposes. The pay wasn’t great, but it was good experience. It may have paid more had I stuck with it… But anyway, I ghostwrote a book based on illustrations I was given. It was about two futuristic kids who flew through the solar system in their dad’s spaceship and learned much about space along the way. It’s called “Mr Eus – Story of the Future” and it’s available through Google Play and iTunes. Have thought about it, never tried it. I decided I’ve got enough of my own ideas to contend with, let alone wrestling someone else’s. And it’s just another distraction from my own writing, so haven’t gone there yet. No interest in doing this! I have too much of my own stuff to write. I’d love to write ghost stories sometime! Ghosts, demons, vampires, blood, death – wait, what do you mean ‘That’s not what ghostwriting is’? Jokes aside, real ghostwriting has never seemed appealing to me. If I’m writing something, I want my name on it. Honestly, I’ve never considered it. I don’t think I could pull off writing as another person, nor would I want to. If I’m putting in the work to write a story, I want my name on it. Once, for about fifteen seconds. Then I blinked and looked at my own backlog. I was once asked if I’d consider ghostwriting. Well, I didn’t. And I still don’t. I have too much of my own stuff to write. This makes this a very simple answer. I just don’t have the time to even consider doing this. Have you ever thought about ghostwriting? Or have you done any? Let us know in the comments section below.